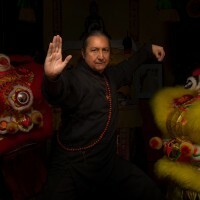 Screenshot of Buddha before and after demolition from Bitter Winter video. TAIPEI (Taiwan News) -- As part of its efforts to subjugate religion in China, the Communist Chinese government on Feb. 2 blasted a 57.9-meter-tall Buddhist statue into smithereens, reported Bitter Winter. 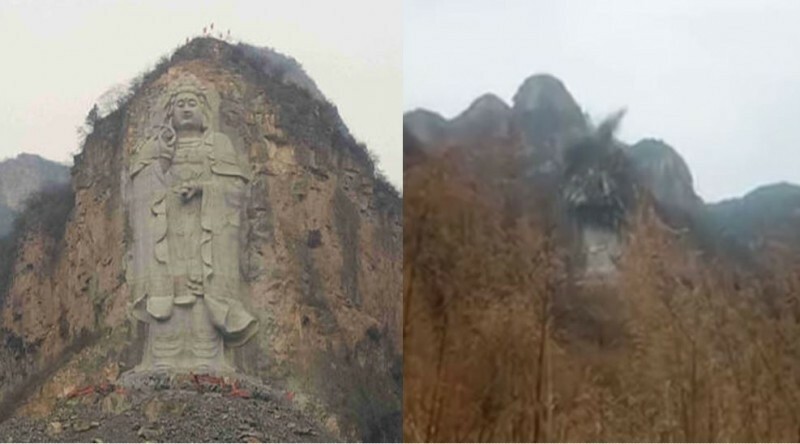 According to the report by Bitter Winter, a statue of Guanyin, the Buddhist goddess of compassion and mercy, was detonated and reduced to a pile of rubble by Chinese authorities on Feb. 2. 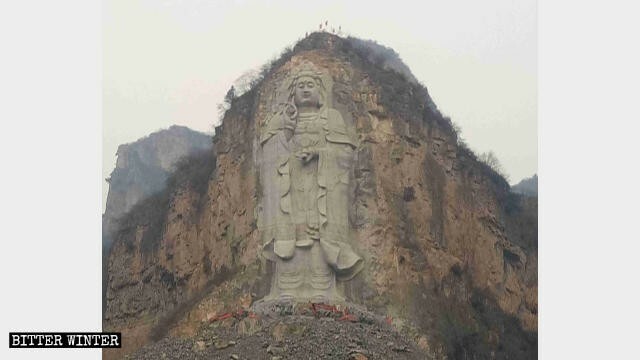 Before being destroyed by Communist officials, the statue, which was carved out of a cliff, held the distinction of being the tallest carved statue of Guanyin in the world. 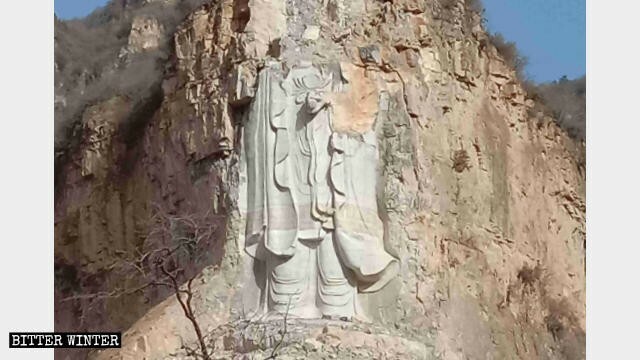 The statue was situated near the Huang'an Temple in the Wuwushui Ecological Scenic Area and had been rated a "4A-level scenic area and a major historical and cultural site," which had protected status in Hebei Province. 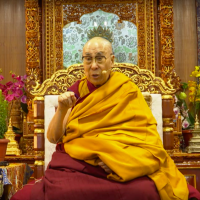 However, a new crackdown on the commercialization of Buddhism was launched last year, and the statue became the latest of many religious venues and symbols to be earmarked for the wrecking ball. More broadly, this action was part of the Chinese Communist Party's (CCP) new campaign to secularize and subjugate religion to bend to the will of the CCP. According to the report, more than 20 officials of various ranks and jurisdictions descended on the area on Jan. 30 to plot the statue's destruction. 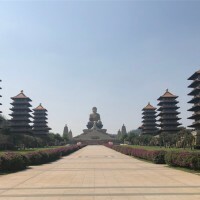 The entire Huang'an Temple scene area was reportedly cordoned off and photography was strictly banned, with anyone attempting to enter the area without permission subject to arrest. After two days of preparation work, the upper half of the statue was obliterated following a "tremendous roar." A few days later, to prevent any attempts to rebuild the sculpture, the government ordered the lower half of the statue to also be wrapped with explosives and blown to bits. 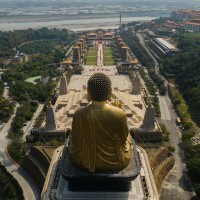 A source told Bitter Winter that the order to obliterate the Buddhist statue came directly from the CCP Central Committee. 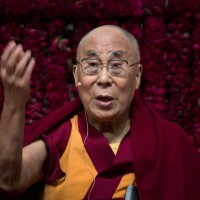 "Throughout the country, people have been prohibited from worshipping or making offerings to Buddha statues," said the source.